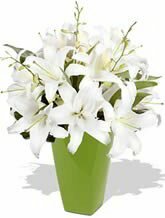 Oriental Lilies are absolutely spectacular... Strong perfume and sizeable blooms make them a gorgeous gift. Teamed with fresh, elegant Orchids this is an extremely impressive bunch.Vase not included but to we recommend including a Superior Vase to elaborate Serene. 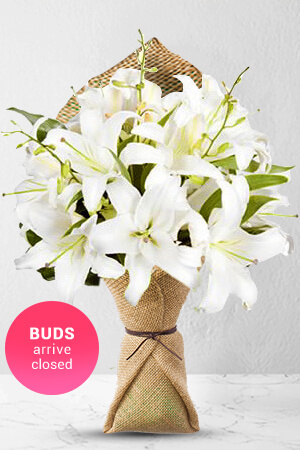 Not only will this add to the excitement, it will outlast the flowers and extend the feeling of being spoilt. Easy to order delivered on time and great quality. Thank you for making the distance from Denmark to Australia a bit smaller ... i appreciate your service ?? Flowers delivered to the door when expected and greatly appreciated. We are an Australian Company, first time using your company - thank you! It was easy & recipient very happy! We will be using you on a regular basis!